Are you looking for power tool hire, sanders, saws or a fixing tool? Plantool Hire Centres have a great range of power tools for hire, saws, fixing tools and sanders are also available for hire today. If you are looking for sanders then please visit the sanders hire page for more information. To find out about more about our dust free floor sanding equipment for hire or floor nailer's then click on the link to go to our floor sanding equipment hire and floor nailer hire sections. Plantool Hire Centres have a wide range of saws available for hire, please go to the saws for hire section for more information. 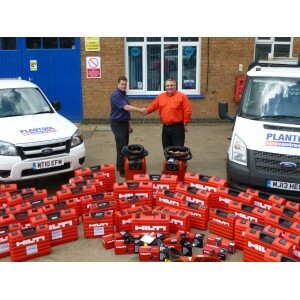 Plantool Hire Centres also have power tool hire and fixing tool hire pages, see our selection by clicking on the links. Alternatively you can contact our team for more information on the right power tools hire, sanders, saws or fixing tools. 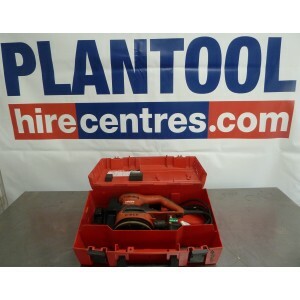 Fixing tool hire from Plantool Hirecentres. Tools available for hire include Hilti Cartridge and Gas nailer guns, Portanail floor nailers and Collated Screw Guns. We are a family run business with 30 years experience in the hire industry. We supply high quality fixing tool hire for thousands of trades people and DIYers a like across the Midlands area. The Plantool Hirecentres' team are on hand to advise you on which fixing tool is correct for the job. Our impartial advice is available free by calling 0800 334 5365 or by email. For a full list of which areas are serviced and which branch is your closest please see the Contact Us page. Plantool Hirecentres are based in Coventry/Nuneaton, Warwick, Lutterworth, Daventry and Stratford and cover the West Midlands, Leicestershire, Warwickshire and Northamptonshire area. Click here for more information on the towns and cities we cover. Sanders are used in almost every aspect of construction work, from DIY to large scale industrial operations. Plantool Hire Centres have a great range of sanding equipment available for hire. Our sander hire range covers belt sanders, disc sanders, orbital sanders and many more. To hire any of our sanders click on 'Book Now' on the product pages and follow the simple instructions, one of our experienced team will get back to you within two business hours. If you would like further advice or information about our sander hire please get in touch with our knowledgeable and friendly team either by phone, or via email. All of the contact details specific to your local Plantool Hire Centre can be found in the Contact Us section above. We are also contactable on 0800 334 5365. 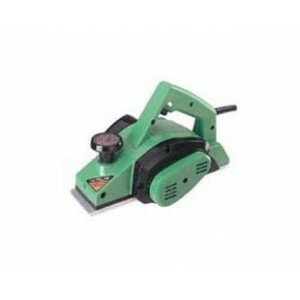 Our sander hire prices can be found on the product description page. We offer daily or weekly rates, as wells as weekend or two day prices to ensure you get what you are looking for the right amount of time, at the best price. If you are a customer in the Midlands we operate a fast and effective delivery service making it even easier to hire equipment, see our delivery section for the areas that we work in. At Plantool Hire Centres we have a wide range of saws for different applications. 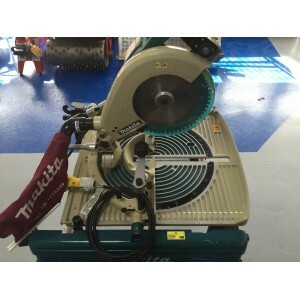 If you need to cut wood, metal or plastic we have the right saw for your job. We only hire out sawing tools from the leading manufacturers such as Hilti, Makita and Hitachi so you can be safe in the knowledge that if you hire a saw from us, it wont let you down. The Plantool Hire Centres' team are on hand to advise you on which sawing tool is correct for your job. Our impartial advice is available free by calling 0800 334 5365 or by email. For a full list of which areas we cover and which branch is your closest please see the Contact Us page. Plantool Hire Centres are based in Coventry/Nuneaton, Warwick, Lutterworth, Kettering, Daventry and Stratford Upon Avon and cover the West Midlands, Leicestershire, Warwickshire and Northamptonshire area. Click here for more information on the towns and cities we cover. Woodworking power tools will make your job a lot easier and faster giving you more time to get on with other tasks. Plantool Hire Centres' woodworking power tool hire equipment covers a broad field of tasks common to most construction projects. Our range will increase productivity whether you’re a DIY aficionado or a seasoned professional. 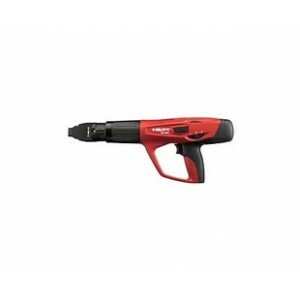 We offer competitive prices on our entire power tool hire equipment range. Unlike other hire companies we give the customer a choice of time periods and prices, allowing them to choose a plan that is best suited to their needs. If you are interested in hiring any of our woodworking power tools then click on the 'Book Now' tab. Fill in the required details and we will get back to you within 2 business hours with everything you need to know. If you can't see the information you are looking for, or if you have a question, give us a call or send us an email. The Contact Us section contains all of the details you will need to get in touch or simply just call us on 0800 834 360 for free advice on woodworking power tool hire. To learn more about our delivery service please have a look at our delivery section to find out which areas we cover.